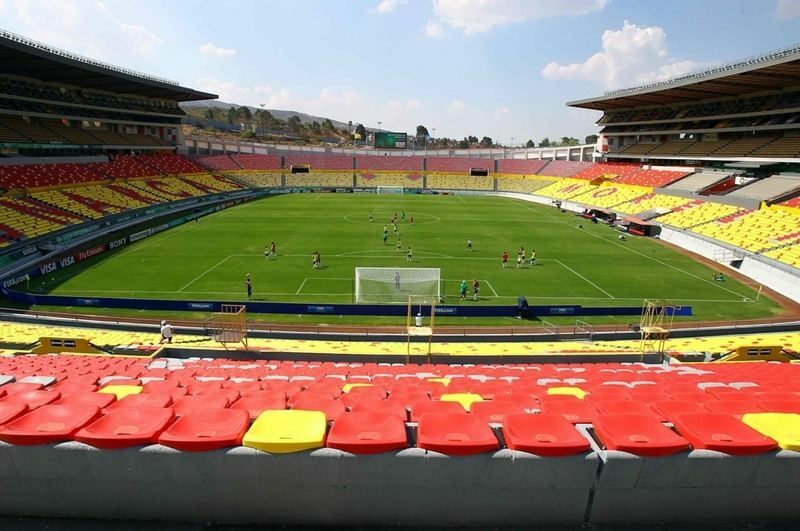 Construction of new major stadium for Morelia started in 1984, when the city was shortlisted as host for 1986 World Cup. 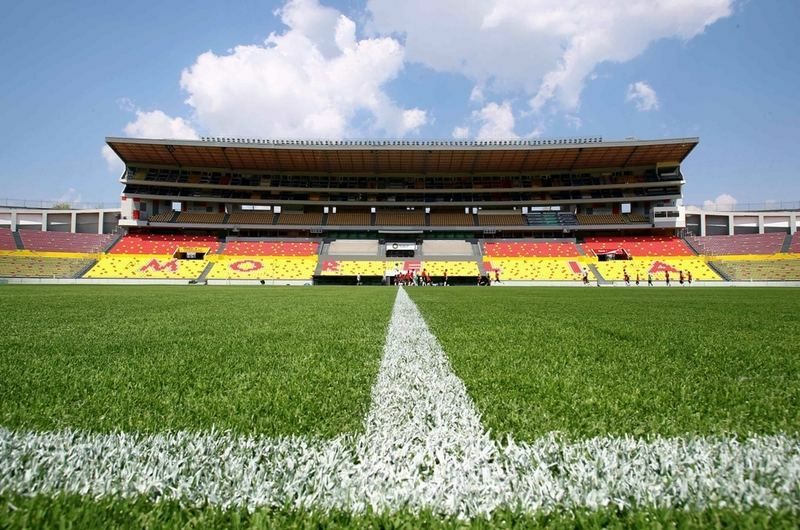 However already at ground works trouble appeared with the soil and the project was halted, forcing Morelia to be replaced as tournament host. 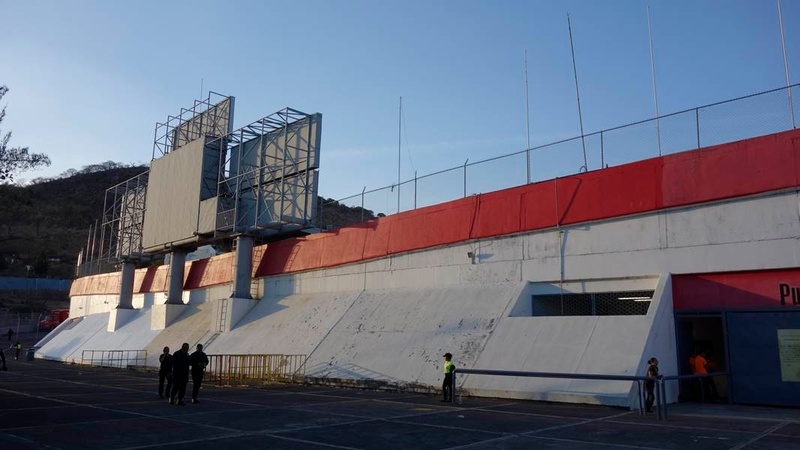 The idea was brought back in 1988 by local entrepreneurs, who together managed to finance the venue, largely thanks to selling premium seating in advance. 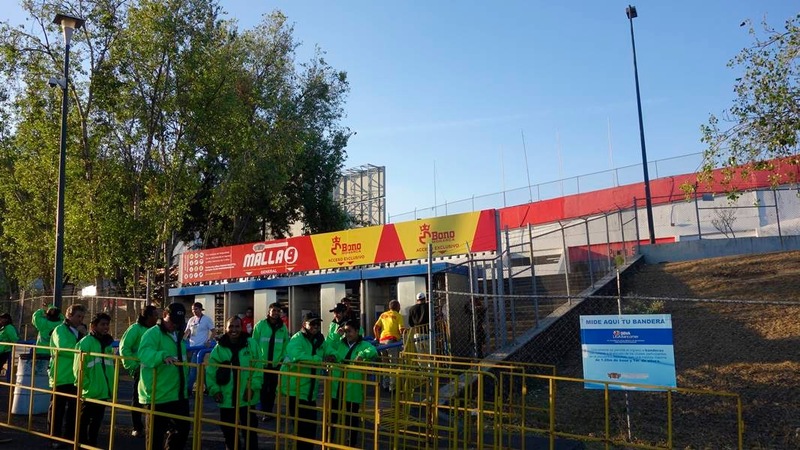 Within 1.5 year the structure was ready, being then handed over to public authorities. 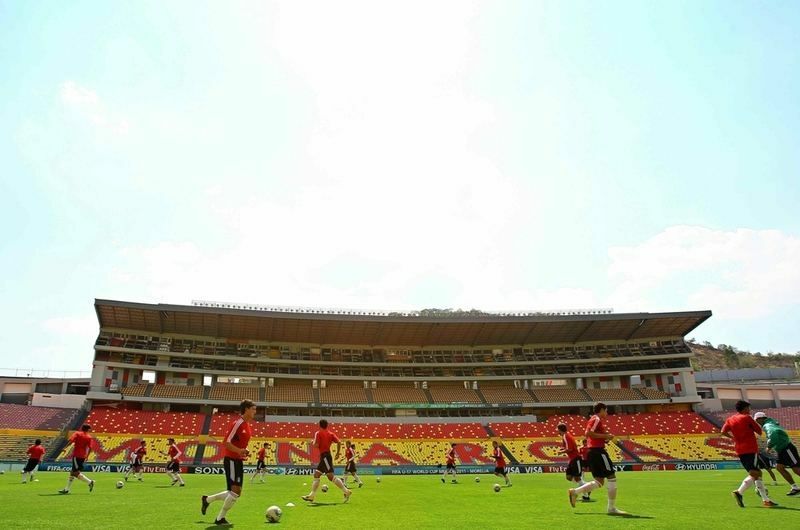 Despite initial capacity standing at 45,000 people, some 52,000 were reported to watch the opening game. 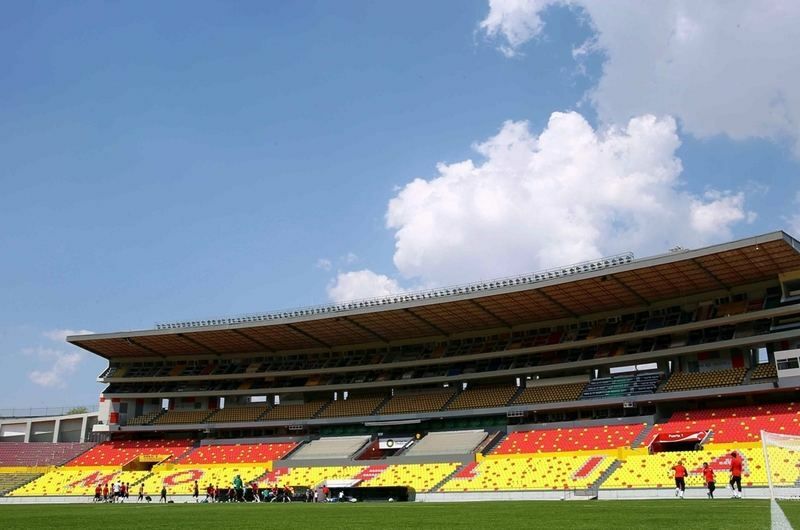 Official number or not, this size allowed the new stadium to become Mexico’s largest that isn’t located in a city of over 1 million inhabitants. 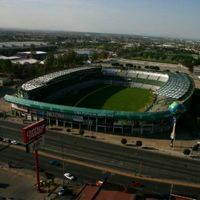 Official name honours Mexico’s independence hero, but due to its length is rarely used in full (Estadio Generalísimo José María Morelos y Pavón). 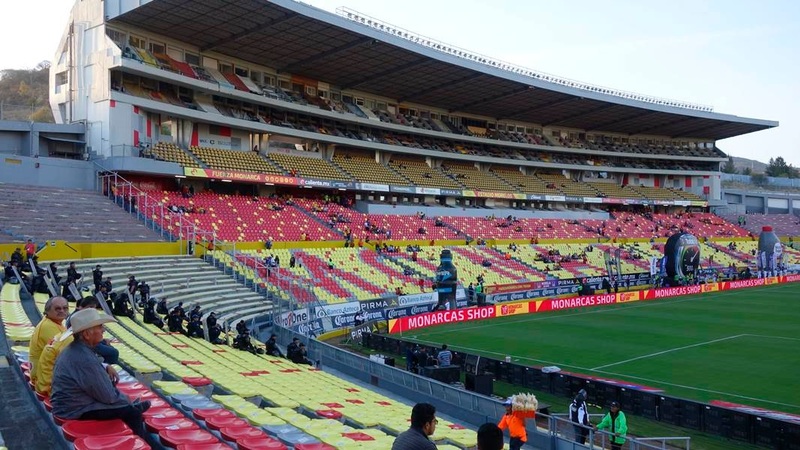 From the start stands behind goals were single-tiered and uncovered, while four tiers were built alongside the pitch, partially covered. Changes started coming quite late. No sooner than in 2002 did the ground receive floodlighting. First giant screen followed in 2004 (later replaced in 2010) and safety installations (turnstiles, CCTV) started appearing post-2005. 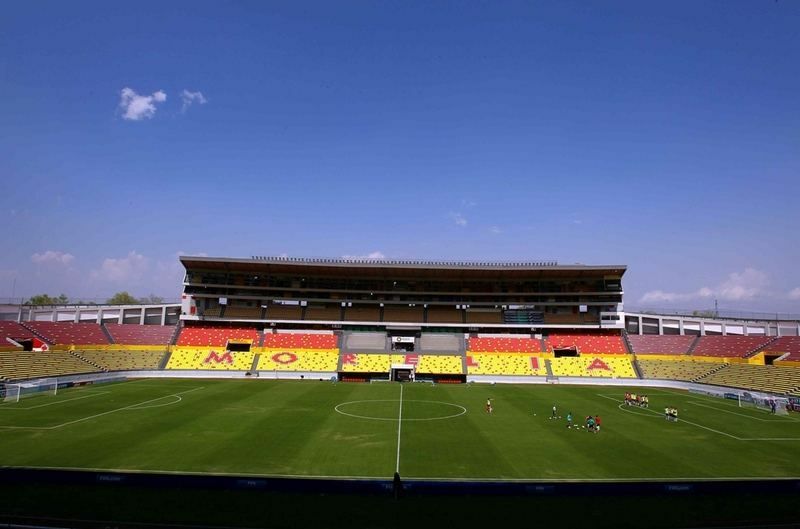 Largest, general facelift came before the U17 World Cup of 2011, which was also played here. 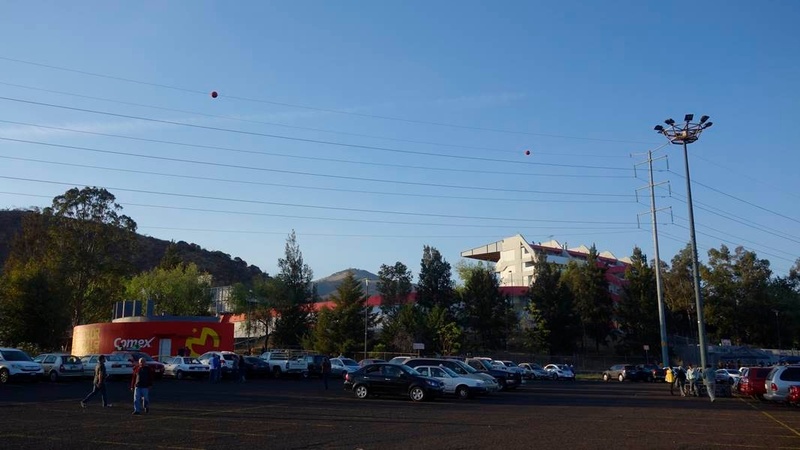 Around the stadium there are some 4,000 parking bays. 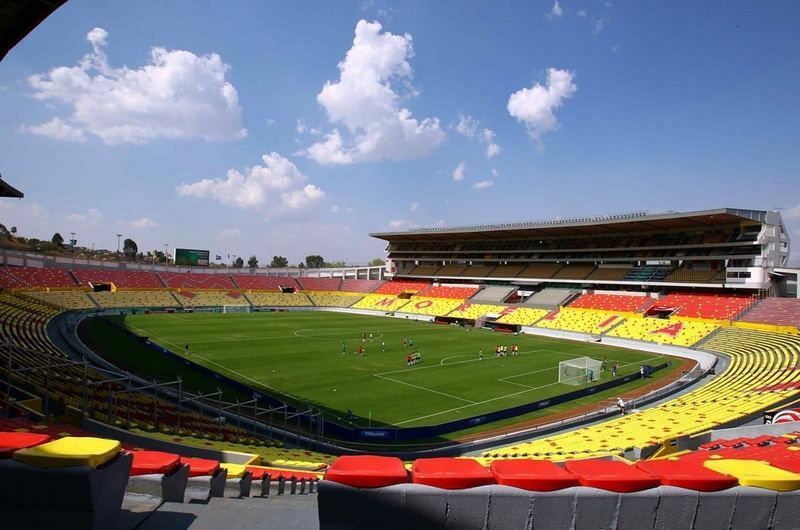 Week-to-week use is provided by Monarcas (previously Atletico) Morelia, with Mexico’s national team playing one fixture here, against Bulgaria in 2001.